Sir Robert Paston (1631-1683) of Oxnead Hall in Norfolk was known in his own time for his loyal support of Charles II, his magnificent house and kunstkammer collection, his political activities, and for his chymical and alchemical pursuits. His family died out in the early eighteenth century with the premature deaths of his grandsons, and today the Pastons are remembered mostly for the famous letters of an earlier generation. 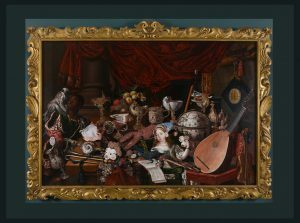 However, some seventeenth century items survive: inventories, documents, artefacts and an enigmatic painting The Paston Treasure in Norwich Castle Museum, which depicts some of Robert’s and his father’s collection. (Figure 1). This is the subject of a current research project between Norwich Castle Museum and the Yale Center for British Art, culminating in a joint exhibition in 2018. 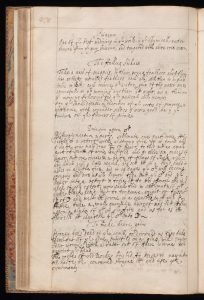 Recently further evidence of Robert Paston’s activities was discovered: his manuscript notebook, probably dating from late 1650s-1670s. 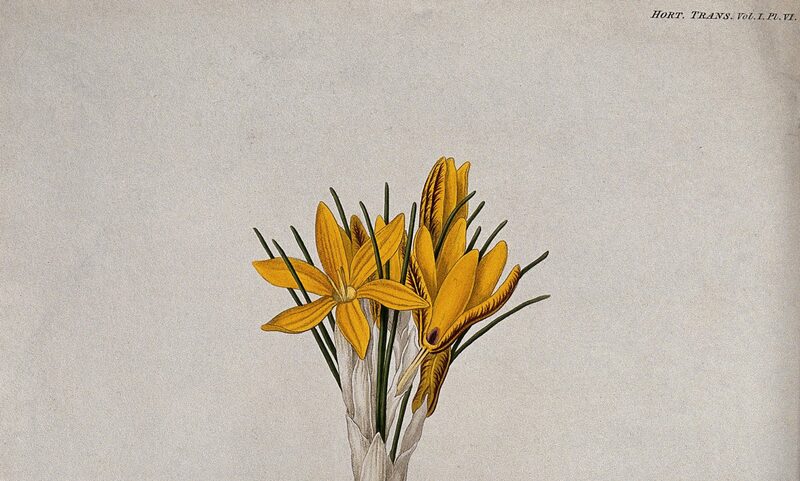 This comprises some 250 culinary, medical, alchemical, cosmetic and artistic recipes, fascinating both for their variety, and for their varied cited sources. An FRS elected 1661, Paston’s associates included many of the noted scientists and intellectuals of his day, although his most frequent known correspondent and co-experimenter was Thomas Henshaw (1618-1700) with whom he worked for more than twenty years on the ‘red elixir’, a version of the Philosopher’s Stone. Many of the medical recipes in Paston’s book were not uncommon and may be found in similar form in contemporary English publications such as An English Huswife or The Queen’s Closet Open’d. Others, such as his cure for The Falling Sickness (Figure 2) appear more unusual. Remedies for falling sickness appear regularly in English recipe books. The most frequently cited ingredient in these is peony, a plant with ancient precedents for its curative properties. One of Paston’s recipes also cites peony tincture, but the other involves a distillation of chopped magpies ‘intrails, feathers and all’, an ingredient which does not seem to have a ready precedent in English recipe books. To use live birds in recipes was not unknown. As Michelle DiMeo has commented previously on this blog ‘oil of swallows’ as an unguent for joint pains appears in several sources in this period. However, research so far has uncovered the use of magpies or, seemingly interchangeably, swallows, for epilepsy, referred to as Aqua picarum epileptica and Aqua Epilepticae Hirundinum, in only two sources apart from Paston’s book. There appears no obvious rationale for this use of black and white birds, although the similarities in colouring between swallows and magpies do raise the question whether the use of magpies, traditionally considered as magical birds in many cultures, may have arisen initially as a more readily available alternative to swallows, the elusive and migratory habits of the latter perhaps proving somewhat inconvenient. It may have been believed that the colouring was of more significance than the species, and that any black and white bird would be efficacious. The use of birds to treat epilepsy seems unrelated to their use for aching joints, and the appearance of this recipe in an English book is intriguing. Both the sources uncovered so far are of French origin. The first is Pharmacopœia Galeno-chymica Catholica published in 1656 by Johan Daniel Horst (1616-1685) which, his sub-title states, is post Renodaeus et Quercetanus, namely, after Jean de Renou (1568 – 1620 ) and Joseph du Chesne (c.1544-1609). In 1676, Thomas Sherley’s Medicinal Councels or Advices, a translation from Theodore de Mayerne’s (1573 – 1655) French original, lists a similar recipe, the source of which he cites as Guillaume Rondelet(1507 – 1566) (pg 140). Robert Paston’s scientific associates included many with European connections such as Samuel Hartlib (ca. 1600 – 1662), Frederick Clodius (1625 – 1661) and Sir Kenelm Digby (1603 – 1665), whose close links with French alchemists during his long stays in Paris have recently been explored by Lawrence Principe, in “Sir Kenelm Digby and His Alchemical Circle in 1650s Paris: Newly Discovered Manuscripts.” Ambix 60 (2013): 3-24. Paston, who was involved in alchemical pursuits from a young age, also met Theodore de Mayerne, and owned a manuscript, Sloane MS 2222, which once belonged to the famous physician, although the extent and nature of their association is not known. Jean de Renou, Joseph du Chesne and Guillaume Rondelet were closely connected with Mayerne. As Principe has pointed out, (op cit) Digby associated with du Chesne when in Paris. Robert Paston’s citing of this unusual epilepsy recipe therefore maybe further evidence of his continental contacts and influences, either via Digby, or Mayerne himself. Research into Robert Paston as an alchemist and chymist is new, but on-going, and his connections with Mayerne and others are only beginning to be considered. This falling sickness recipe suggests that further research in this direction would be fruitful. Promising new material is emerging, and the Norwich/Yale research partnership has provided an unprecedented opportunity for an in-depth focus on this little-known English alchemist. Even preliminary research into Paston and his work has positioned him squarely within the fascinating and important group of scientists operating during this most influential mid seventeenth century period. Francesca Vanke FSA is Keeper of Art and Curator of Decorative Art at Norwich Castle. She gained her BA in classics from Oxford, and an MA in art conservation and PhD in history from Camberwell College of Art. Her academic speciality is collecting history, but she researches a wide range of related subjects. Her studies have recently included seventeenth century material culture, alchemy and recipes for the research and exhibition project she is working on, together with the Yale Center for British Art and a group of other curators and scholars. Fig 2 is unreadable without a link to a larger image. So we cannot tell how unusual it is. Hello. The digitized manuscript can be located here. http://brbl-dl.library.yale.edu/vufind/Record/4030058. Many apologies for the small size of the images. Our blogging platform will only allow us to upload images of a certain size.